Credit quality has always been a key consideration for fixed income investors. Today, with ongoing uncertainty in the eurozone and heavy debt burdens across developed markets, clients are more aware of this factor than ever before. It’s unsurprising that they have turned to emerging market debt, an asset class becoming an increasingly prominent part of portfolio planning due to its improving credit quality. Our newly launched Emerging Markets Bond Fund allows investors to tap into the substantial investment opportunities this asset class can offer. 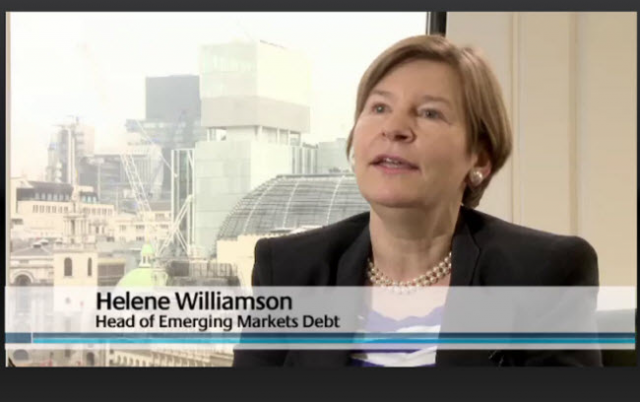 Managed by Helene Williamson, who is vastly experienced in emerging markets and backed by a dynamic new team, it invests in dollar-denominated debt securities across emerging markets. With a respected pedigree in emerging market equities, the launch of the First State Emerging Markets Bond Fund reflects our ongoing commitment to develop top-quality investment solutions for our clients.